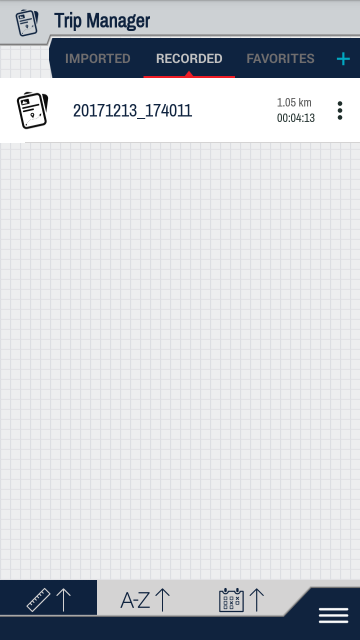 On this screen, you have the possibility to import trips/routes/POIs. These can either be the ones shared by others or files downloaded from the internet. Tap the Import button at the top right of the screen to manually or automatically import files into the application. If you don’t know the specific location of the file, tap ’Auto search’ and let the application look it up (Android only). 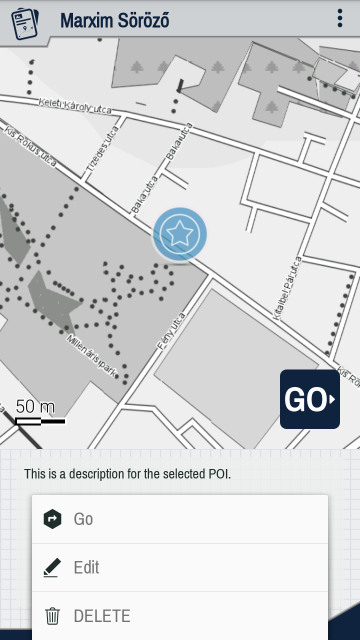 You can also browse manually and locate the desired map data in your phone’s storage. Once imported, the items will be shown on the ’Imported’ tab and can be sorted alphabetically or by date (either ascending or descending) by selecting your preferred method at the bottom of the screen (/, / or ). For further actions, open an item by tapping on it. Tap the Further options button at the top right of the screen and choose from the pop-up menu. You can navigate (to) the route by tapping Go. Select Edit to rename it, add a description or attach a photo. Delete the selected route by tapping Delete. The application can store all your routes and the trips you recorded. You can order them alphabetically and by time using the buttons on the bottom of the screen (/, / or ). Opening a certain track shows you its details and lets you perform actions using the Further options button. 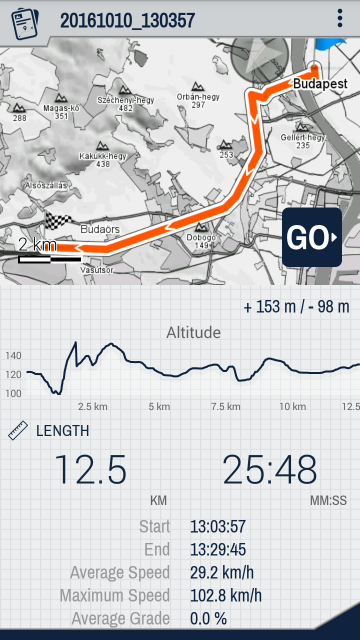 You can navigate to the track ( Go), share it ( Share), send it to another smartphone via Bluetooth, edit its details ( Edit) or simply delete it ( Delete). 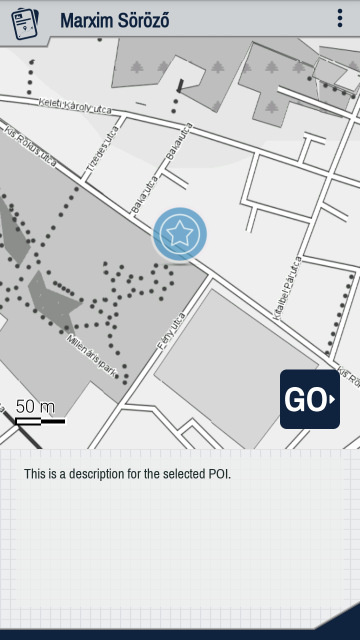 You can also save your favourite places as POIs (Point of Interest). To do this, tap and hold the map at the spot you want to save and tap ‘Add to favorite‘. You can also mark existing POIs. Tapping a Favorite will open it and place it on the map. You can then edit its details by tapping the Further options button at the top right of the screen and select a category from the list. You can also enter a custom name and add a description. Add a picture to your tour – to choose an existing picture, use the left button, to take a new one, use the center button, to delete the set picture, use the right button at the bottom of the screen.